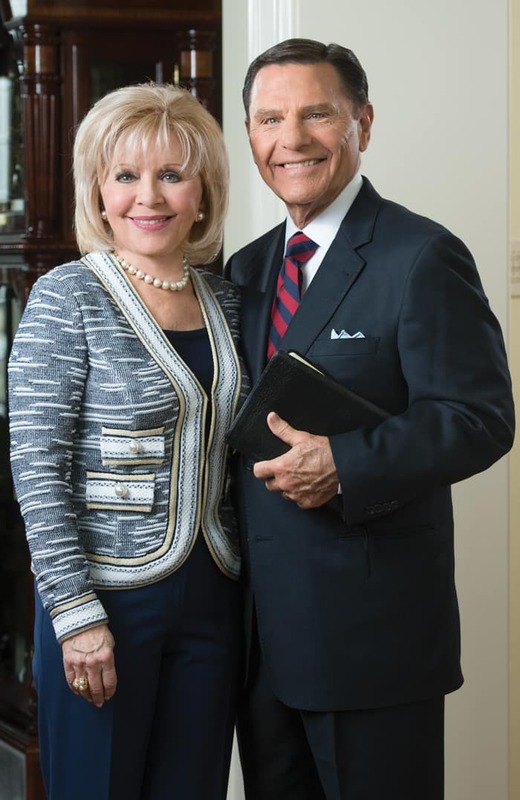 For more than 50 years, Kenneth and Gloria Copeland have been passionately teaching Christians all over the world how to apply the principles of faith found in God’s Word. They are driven with a passion to see people fall in love with Jesus, live by faith in God’s Word, and experience victory in every area of life. Kenneth Copeland began in ministry in 1967 as a 30-year-old student at Oral Roberts University (ORU). Serving alongside noted healing evangelist Oral Roberts, he witnessed firsthand the miraculous power of God, noting that Oral “used his faith like a mechanic uses a tool.” Kenneth was determined to learn how he could do the same. While at ORU, Kenneth and Gloria began attending faith seminars conducted by Kenneth E. Hagin. During these three, 10-day seminars, the reality of the integrity of God’s Word sprang to life. This is what they were looking for! The Copelands realized that God and His Word are one, and it changed everything for them. They learned how to use their faith, and it was all found in the Word of God. This revelation has been the cornerstone, the foundation and heartbeat, of Kenneth Copeland Ministries for more than 50 years. As a result of their obedience to ministry, hundreds of thousands of Christians have learned to apply The Word of God to their lives, find their unique voice, and live in victory. Now, Kenneth and Gloria want to ensure that this legacy of faith is passed on to the next generation through Kenneth Copeland Bible College (KCBC). Just as the Copelands’ lives were radically transformed by learning how to put their faith in God and His Word, they want students of all ages and backgrounds to have this same opportunity. Kenneth and Gloria have faithfully imparted the spirit of faith and love to their natural and spiritual children, many who will be instructors at KCBC. Together, the Copelands, the KCM and EMIC staff, and the KCBC faculty will instill this rich heritage of faith, excellence and integrity to the next generation. Learn more about Kenneth and Gloria Copeland.